It IS a Merry Christmas!!! 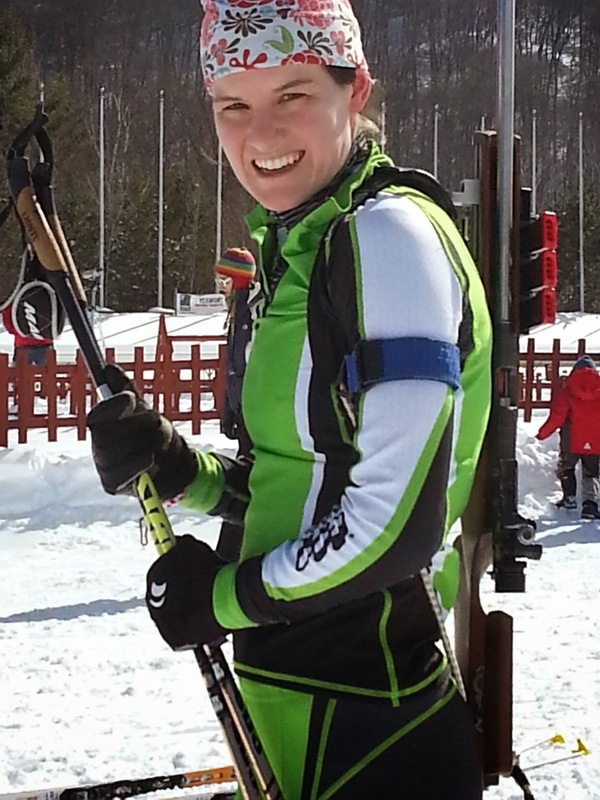 US Biathlon officially named me to the IBU Team for January 2015! Read the full release, here. 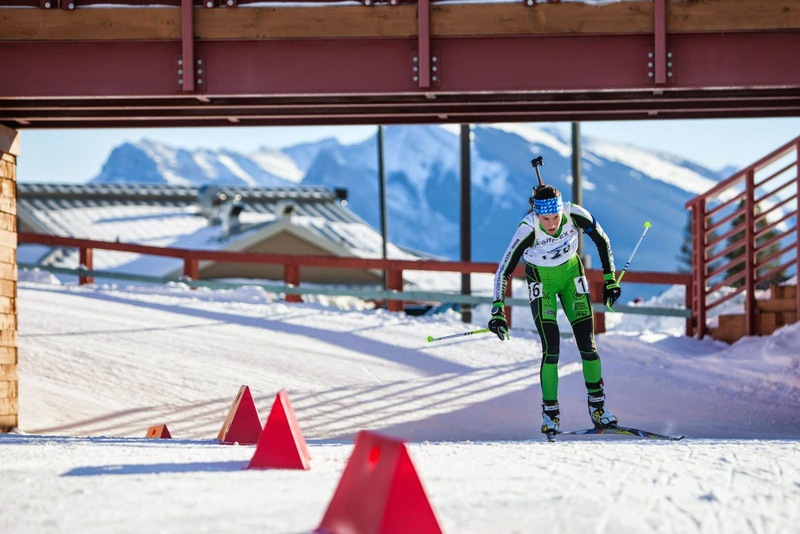 Racing in Canmore, AB in December, 2014. 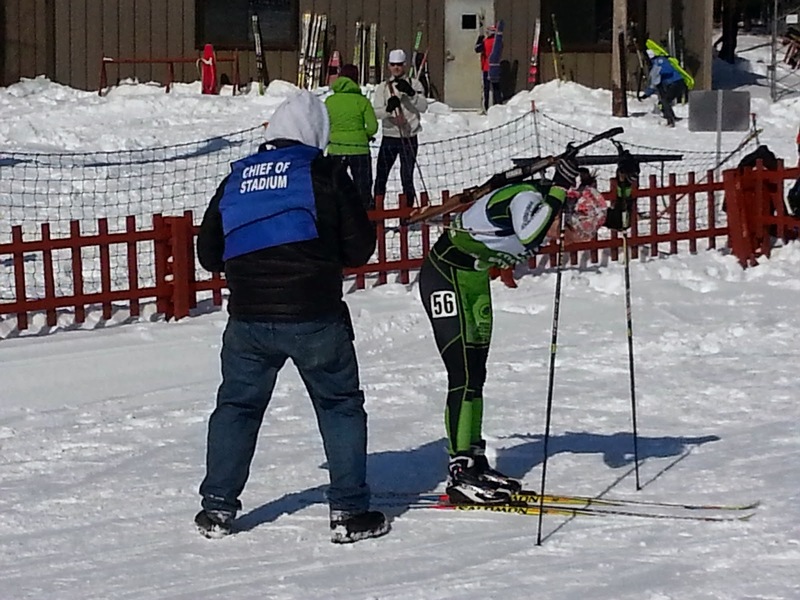 I competed at IBU Cup trials in Coleraine, MN last week. The event consisted of four races in five days! Overall the trials did not go as well as I had hoped, but I had two solid races in which I shot 70% and finished first and second. The important thing is that based on my performance in the trials I was selected to the IBU Cup team, which will travel to Europe in January for a series of races one level below the World Cup. It will be the highest level of racing I've ever done and I can't wait! A foggy day at the range. I won the final race of the trials. 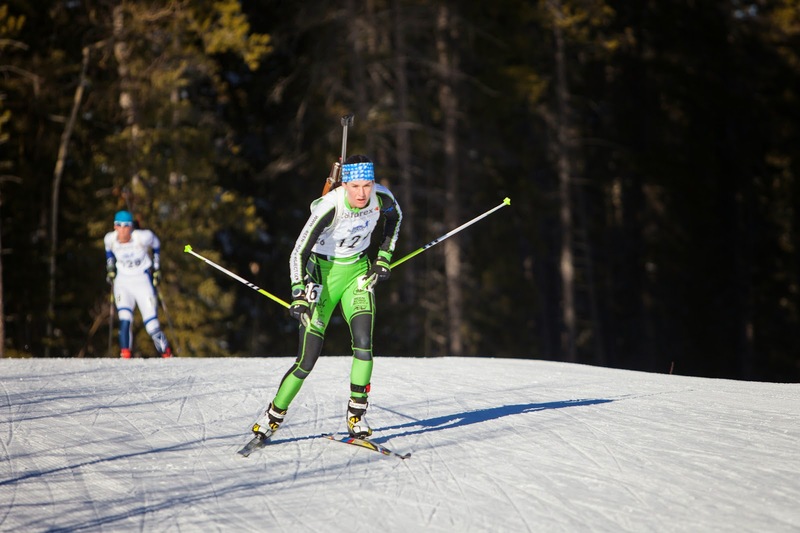 Green Racing Project biathletes kicked off the racing season last week with Susan Dunklee and Hannah Dreissigacker representing Craftbsury and Team USA at the World Cup in Östersund, Sweden, and Michael Gibson and Ethan Dreissigacker joining me in Canmore, AB, Canada at the NorAm Cup. 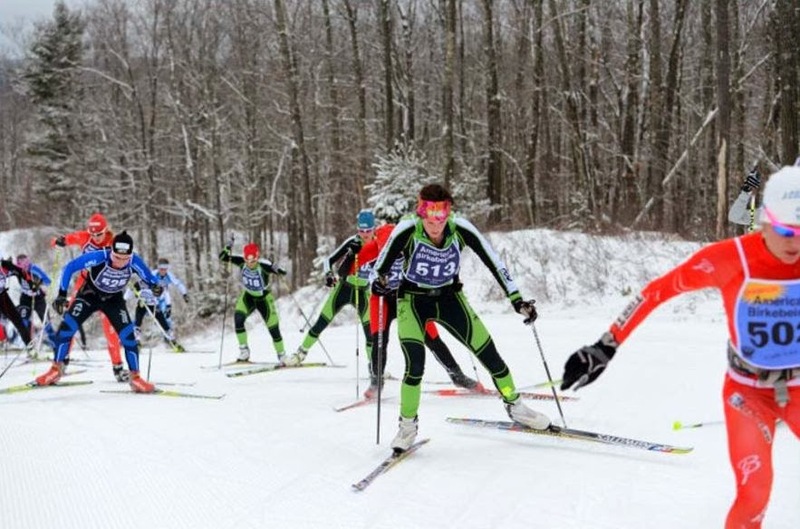 Here's a link to the Craftsbury Outdoor Center's summary article about our accomplishments. Ethan leads the men's NorAm Cup mass start into the range. In Sunday's mass start, I shot clean in prone (10/10 hits) and then missed 2 in both of the standing stages for a total of 16/20 hits, or 80% shooting. I've hit 80% a couple of times in a 2-stage race but never in a 4-stage race, so this was a success for me. 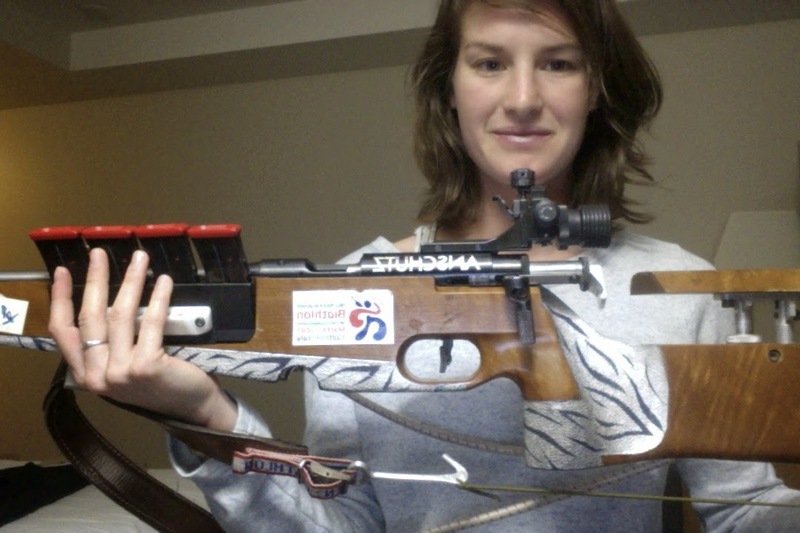 I still have a lot of work to do on my shooting, especially standing, but it feels good to have two races under my belt as I head to IBU Cup trials in Minnesota next weekend. 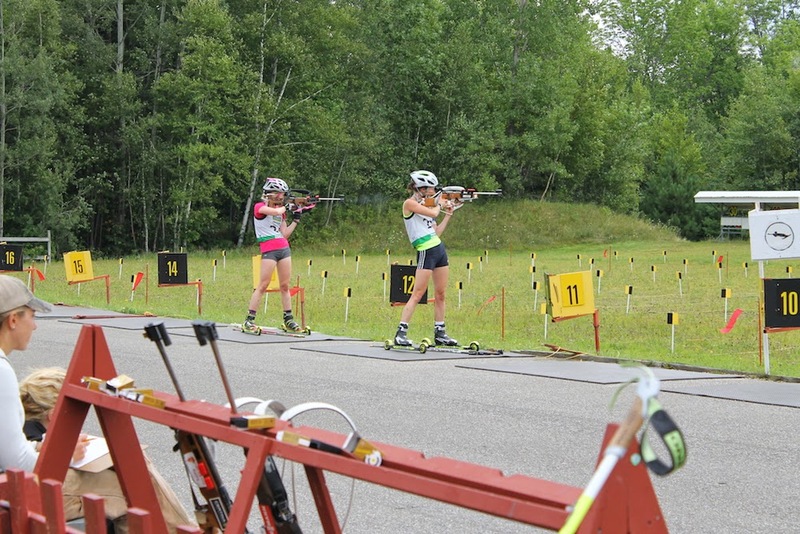 There were 298 competitors at this NorAm Cup, making it the largest biathlon race in North America ever. It was fun to be a part of the action! It was a beautiful, sunny day in Canmore and Jakob Ellingson, a biathlete from Minnesota, took great pictures of the whole scene. Check out the rest of his album, here. I shot clean in prone today and then went on to miss 3 in standing. 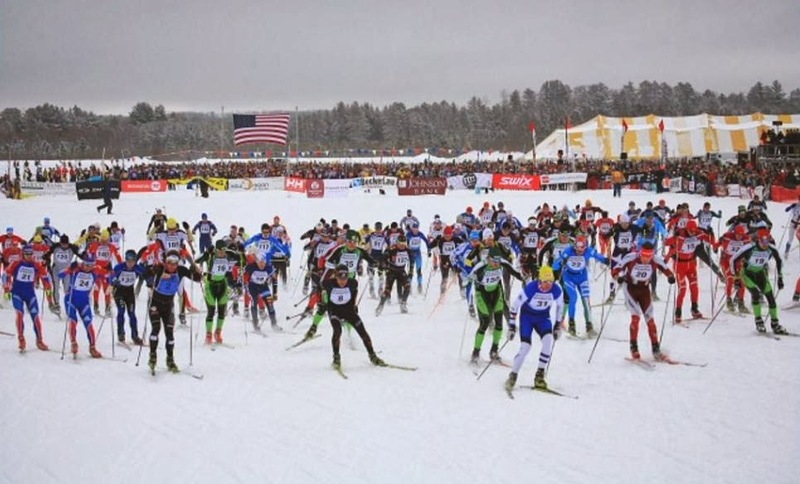 Tomorrow we have a 12.5k mass start race. 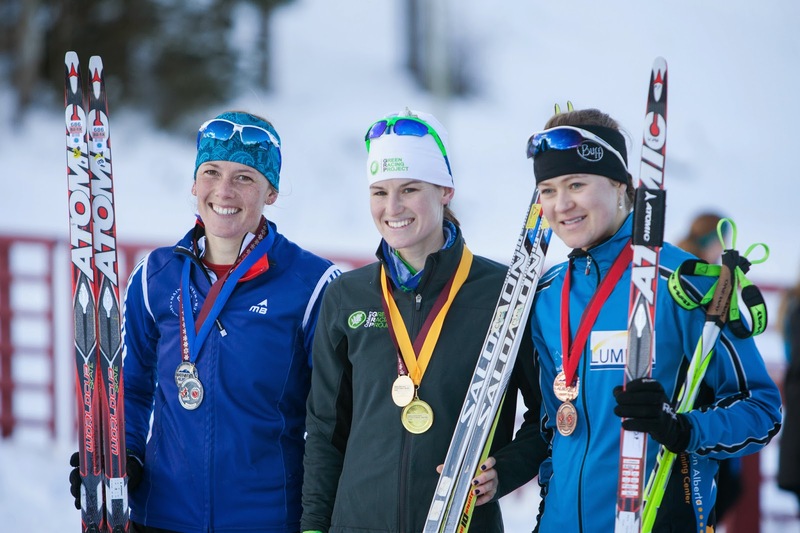 Both the 1st and 3rd place finishers from today are headed to Europe tomorrow for IBU Cup racing, so the competition opens up a bit. 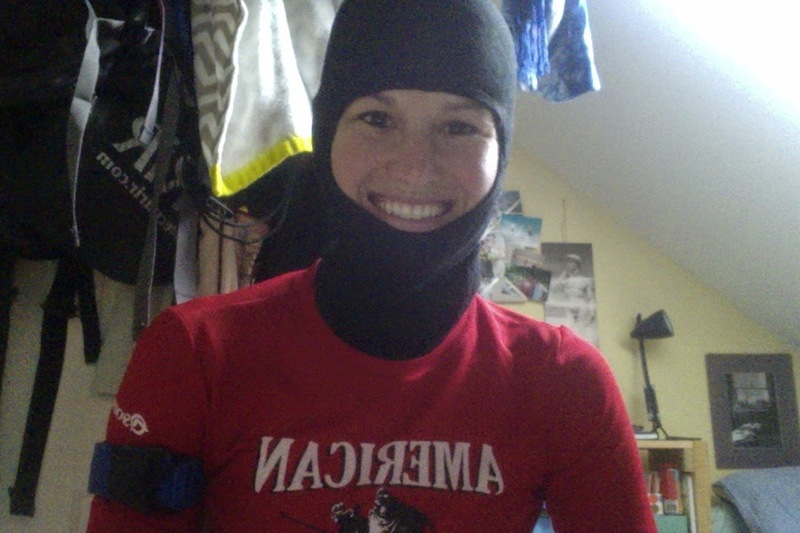 I hope to at least match but ideally improve upon my 70% shooting from today, and there is room for faster skiing too. Here are the results from today. 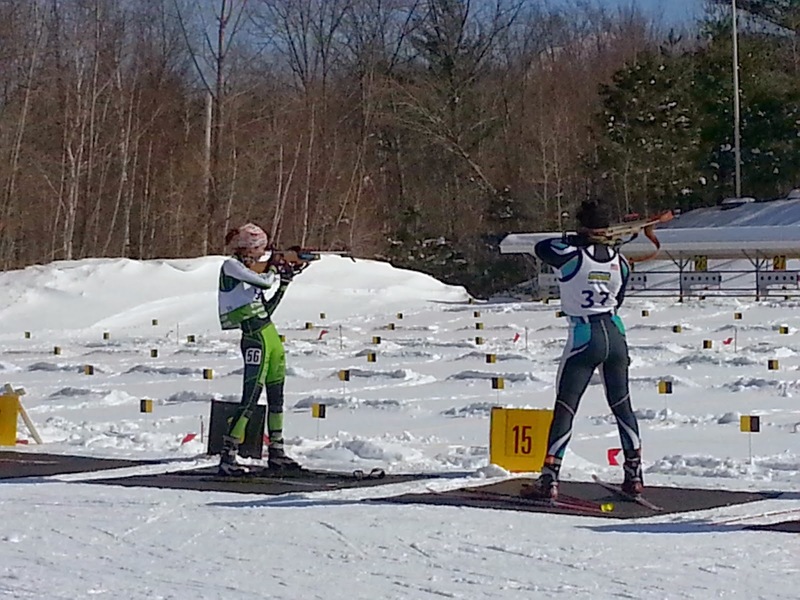 And here are some lovely pictures, courtesy of my US Biathlon teammate, Maddie Phaneuf. The racing season, of course! I am in Canmore, Alberta for my first biathlon races of the season. 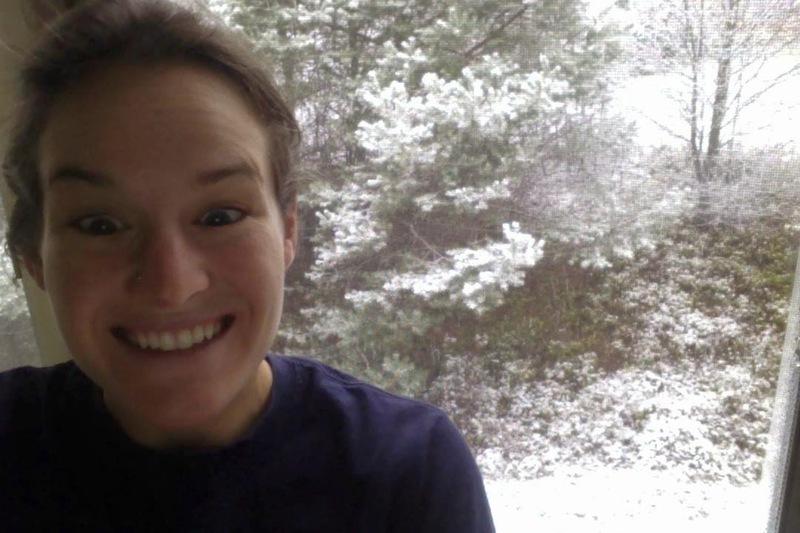 Since trials in October, I survived enough cold, rainy training days to fulfill my lifetime quota and have resolved to move out of the northeast! This is my second trip to Canmore, and first for racing. I came with the GRP two years ago for an October training trip on the "Frozen Thunder" man-made snow loop. Canmore is a sunny place, but very cold. It has been in the single-digits since I arrived three days ago, which I am viewing as acclimatization for my next racing destination: northern Minnesota. 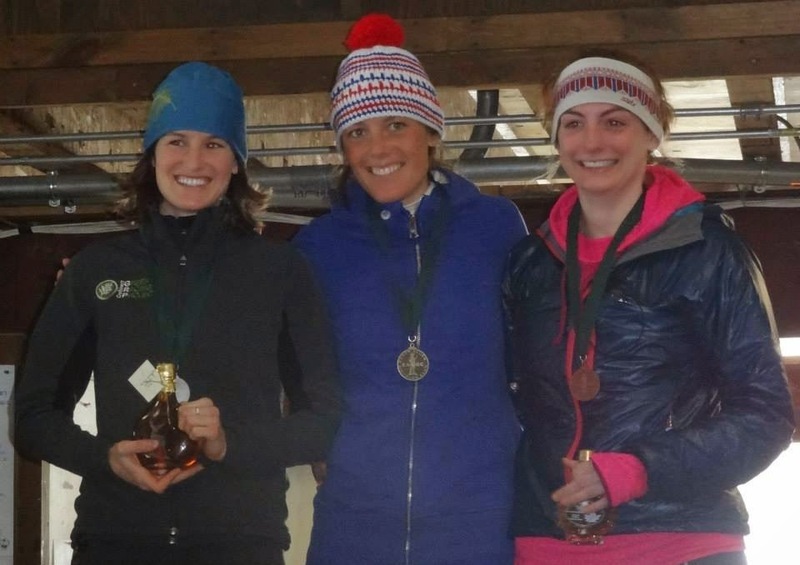 Find info and results for the NorAm races this Saturday and Sunday, December 6 & 7, here. Cool classic skiing technique in Utah in early October. 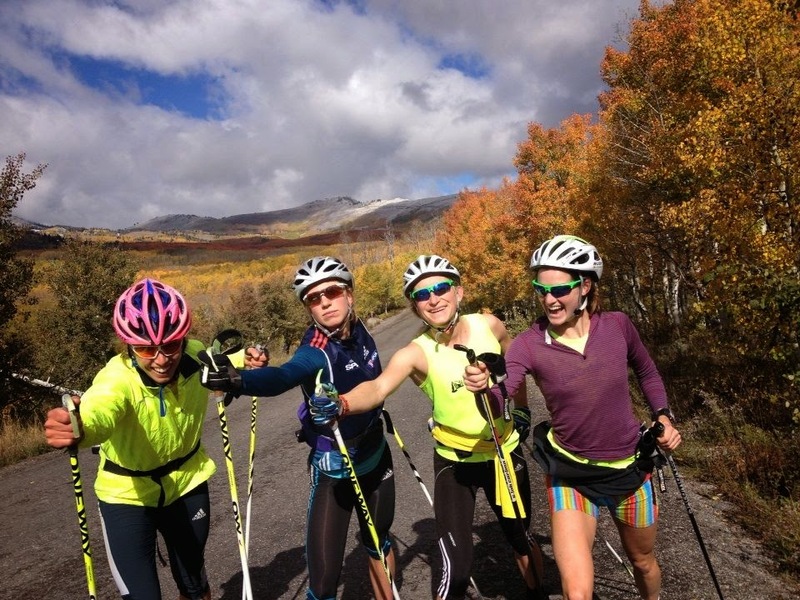 Shaping young minds at the Fast & Female event in Park City, UT. I titled my portion of the clinic "girls with guns." Hiking Mt. Timpanogos was a training camp highlight. 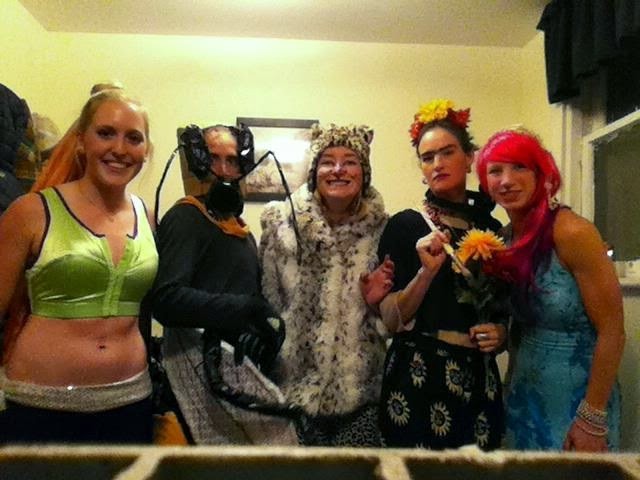 US Biathlon women's team does Halloween! November 7th: Snow in Lake Placid! 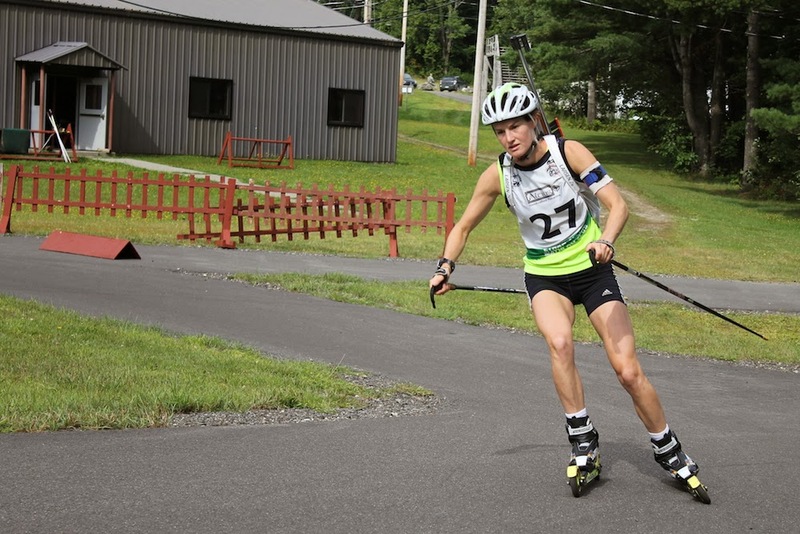 On October 25th and 26th, I competed in the second set of biathlon rollerski races that serve as qualifiers for the early season World Cup races. My coaches and I agreed beforehand that regardless of my result, my plan for November and December would be to stay and gain racing experience in North America, so rather than feeling pressure to qualify, I felt I had a stress-free opportunity to practice what I've been working on for the past few months. Overall the trials process was very positive. I learned something in each of the four races and had podium finishes in three of them. Here is an article from the October trials. Watch the video and you can see me shooting next to my teammate Susan at 1:26. She cleaned and I missed one. 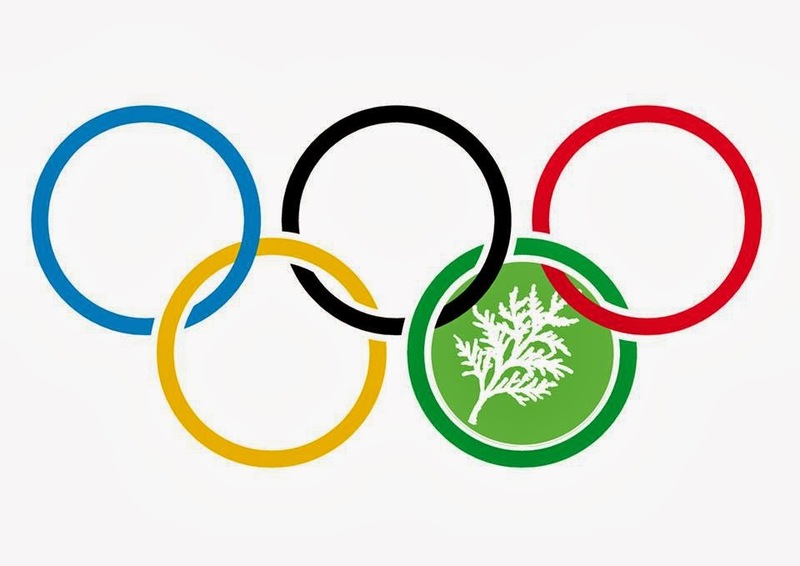 I just wrapped up a two-week stay at the Olympic Training Center in Lake Placid, NY, during which my US Biathlon teammates and I completed a series of physical and shooting tests designed to benchmark our training progress. 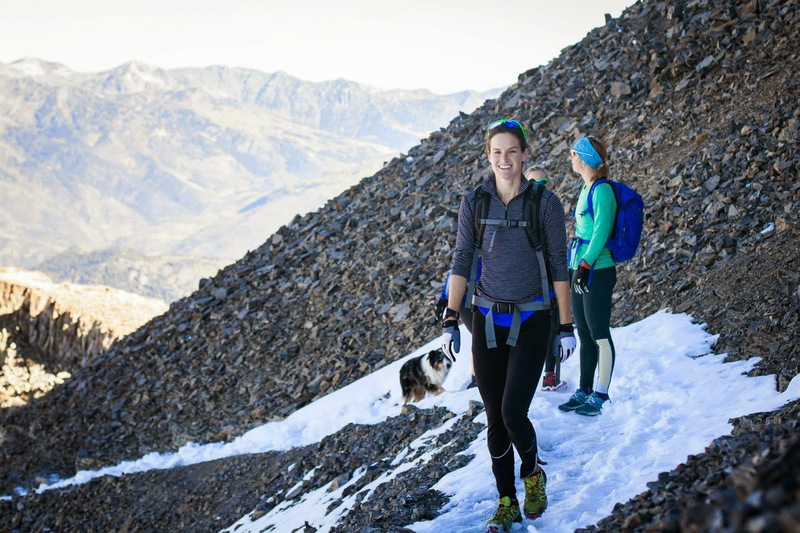 In a departure from the long hours of low-intensity training that we usually do this time of year, for about a week we alternated between racing one day and taking the next day easy or off. 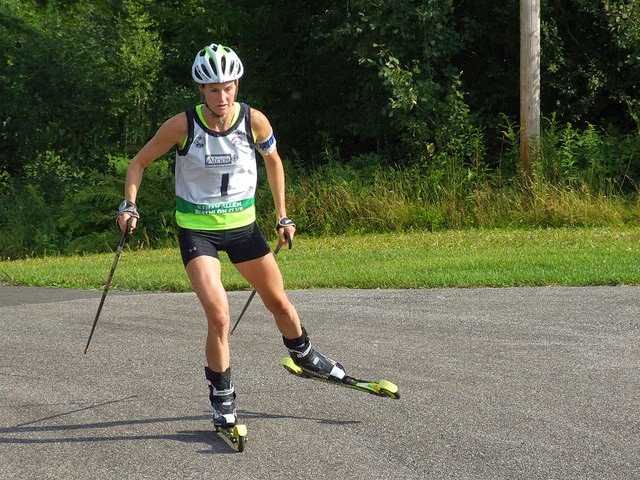 The races included a 10k rollerski biathlon, 3k rollerski, and an uphill running time trial with 1300ft of elevation gain. 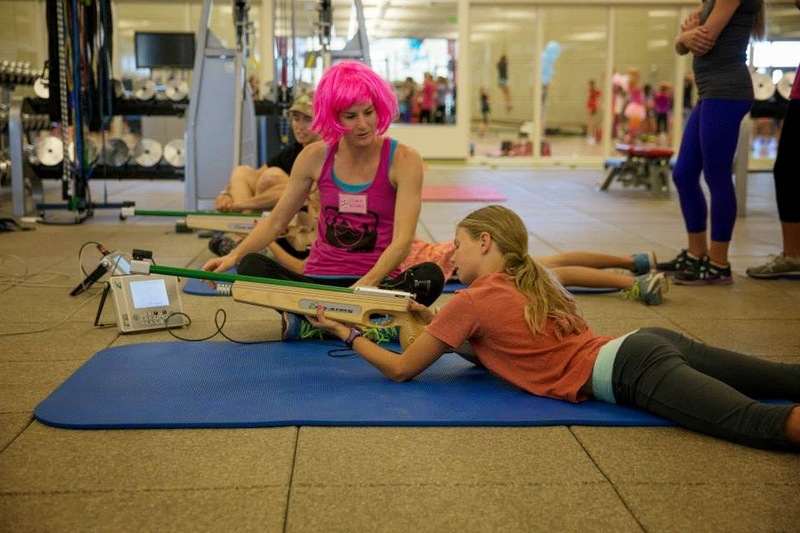 We also did strength circuits and testing, technique work on the OTC's rollerski treadmill, high intensity badminton (that was actually just me), and two shooting tests which were scored for both time and accuracy. 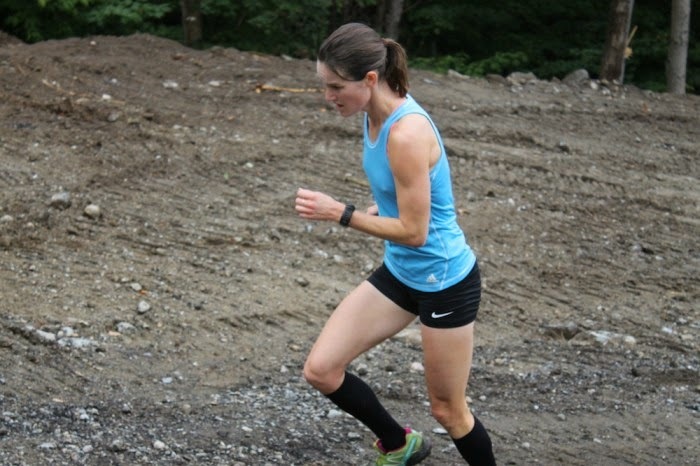 Here is an article from FasterSkier about the uphill running time trial. This was my second time doing it, and I smashed my own course record by over a minute! That was not quite fast enough to beat Susan Dunklee, though, who edged me by one second! 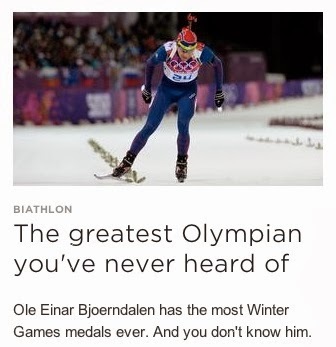 My bio is up on TeamUSA.org! The end of March marked the end of the racing season and the beginning of vacation! After a week in the San Francisco Bay area visiting friends and family, I am now home in Maine relaxing and catching up on things like uploading the above video from February. 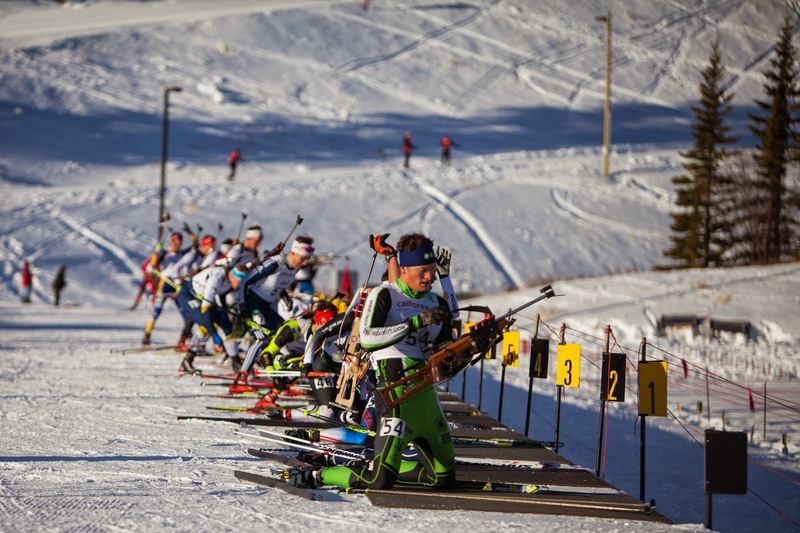 After Biathlon Nationals wrapped up in mid-March, I flew to Anchorage, Alaska with a group of eight GRP skiers for Super Tour Finals. 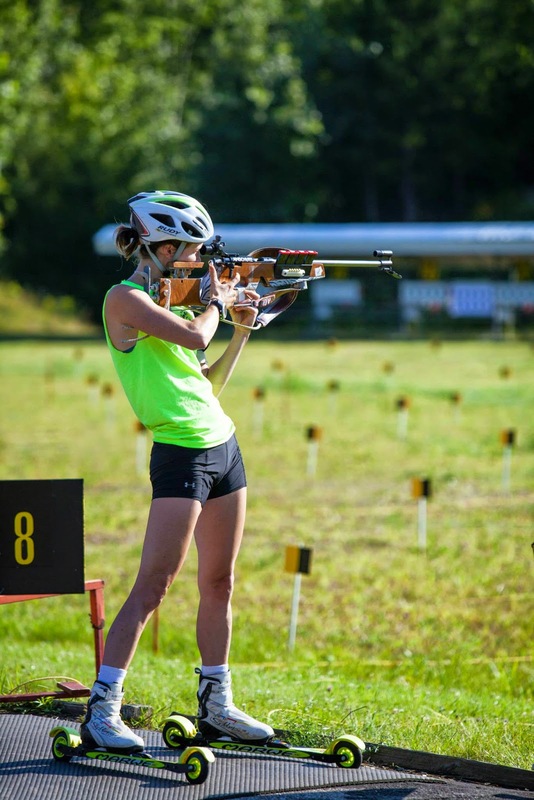 I was very excited to compete at STF for two reasons: 1) Biathlon nationals did not go quite as well as I had hoped, so I was happy to have another chance at ending my season on a better note, and 2) Having sat out of the Super Tour this year in order to focus on biathlon racing, I was thrilled to have a chance to compete with all the best domestic skiers again. 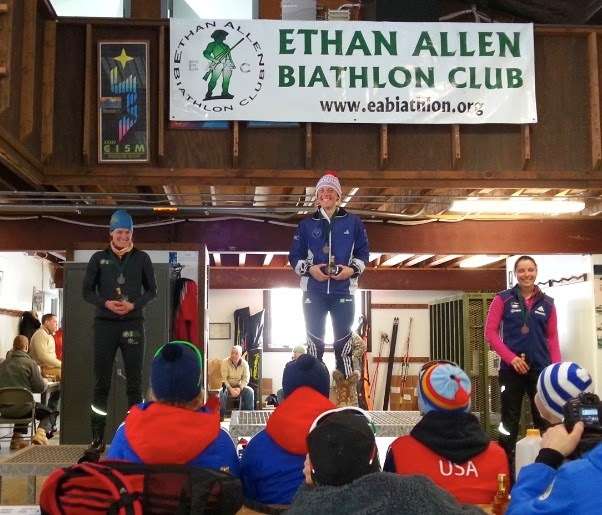 I got 2nd place in all 3 races at Biathlon Nationals. All my races at STF were solid, with my best performance coming in the 4x5km relay. It was the first time I've competed in a relay since college, and it was a welcome break from individual competition. I loved being able to compete with my teammates instead of against them! The format was mixed gender and technique; on my team Alex Schulz classic skied to start us off, then Liz Guiney classic skied, and then Andrew Dougherty and I skated. I had the 6th fastest split for the fourth relay leg. Another achievement for the week was surviving the 30k classic mass start (a perennial struggle-fest for me), despite the fact that it was my only classic race over 1km this entie winter. Not surprisingly I suffered a major muscular crisis about 4k into the first lap, but managed to recover just in time to pick up the pace on my last lap and avoid repeating my "reverse podium"finish from last year. 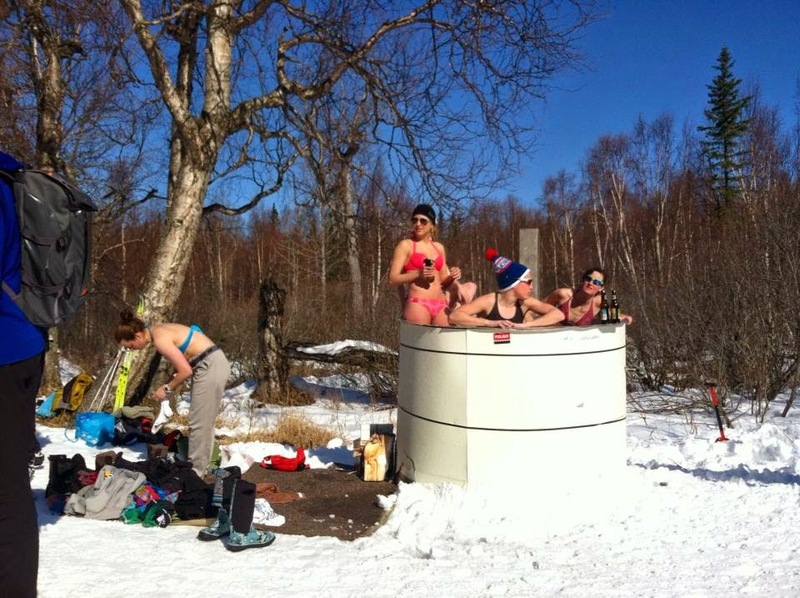 Then I and my leg muscles enjoyed the men's 50k race from the comfort of the trailside hot tub (purely therapeutic). ...But nothing beats being home! Check back soon for an update on my plans for the coming year. Thanks for reading. 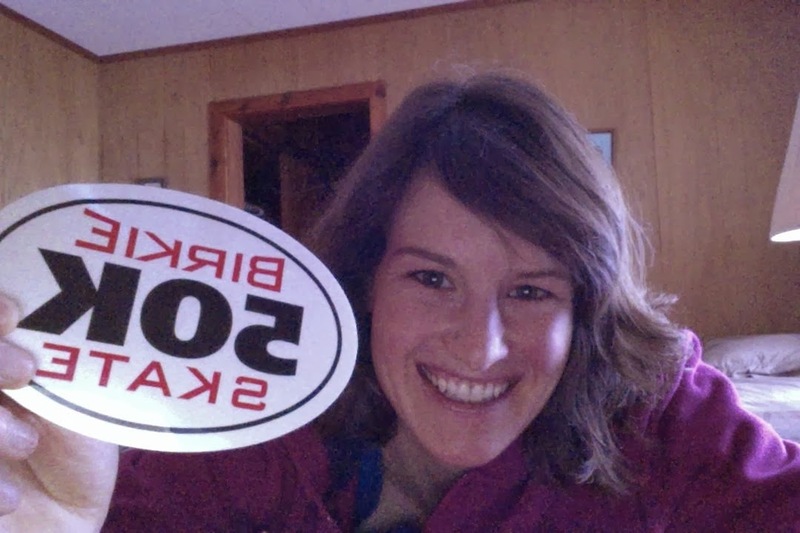 Right now I am hanging out with my mom at the Williston Village B&B, which is owned by my biathlon coach, Algis. My mom came up from her house in Florida to watch US Biathlon Championships which are being held this weekend at Ethan Allen in Jericho, VT. Yesterday we had a 15k individual race. In this race format, instead of penalty loops, you get a one-minute penalty for each missed shot. I had good skiing but mediocre shooting and came away with 9 misses (2, 3, 0, 4). I was happy with the one clean stage but that's about it! I had the fastest skiing of the day by one minute, but that wasn't enough to make for all my penalty time. 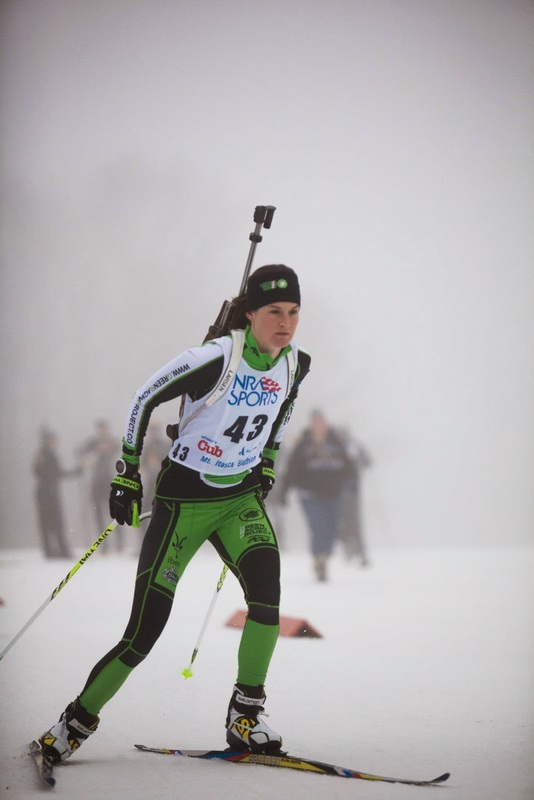 Katrina Howe of Maine Winter Sports Center won the race with six misses. Tonight we have the sprint competition (under the lights!) and on Sunday we have a mass start. Check back for more updates soon! Happy to have the weekend's longest race behind me. Tired at the finish line! 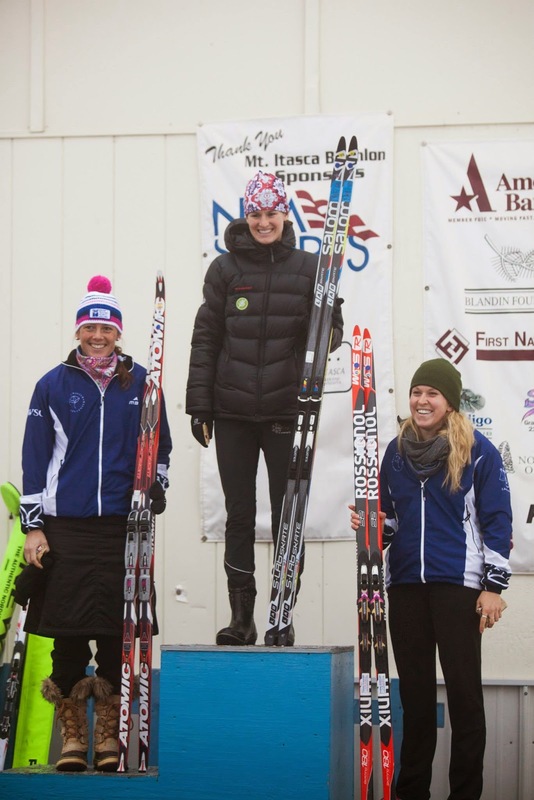 Podium ceremony with Katrina Howe in 1st, me in 2nd, and Hilary Saucy in 3rd. Martenitsa celebrates the coming of spring. 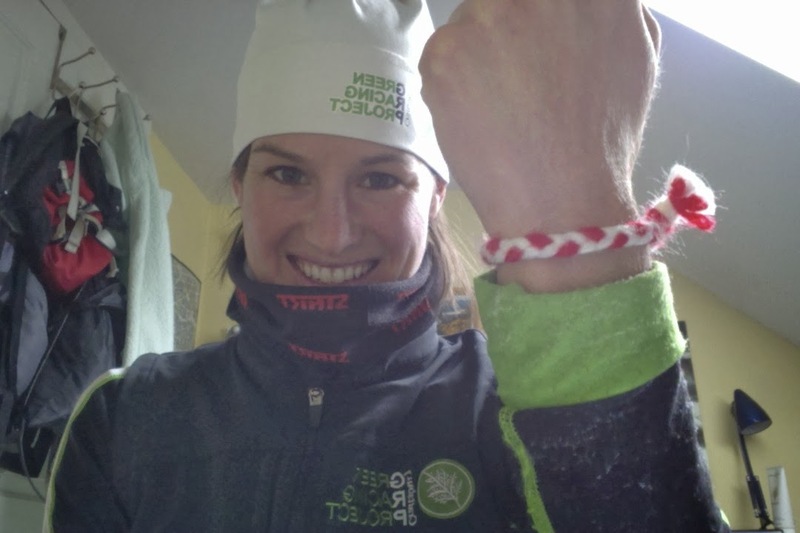 Bulgarians wear red and white bracelets (like this one that my coach, Pepa, gave me this morning at practice,) starting March first to welcome the oncoming spring. Then the next time you see a stork you hang it on the stork and make a wish... If you don't see a stork you can substitute a fruit tree. Or just hang it on any tree on March 21st, which is the vernal equinox and the first day of spring.